Join Family Centre as they celebrate fathers ( aka #yqldads) from now until Fathers Day in June! Come celebrate the “sometimes” forgotten brain builders. Men play a special role in building brains because they tend to play with children in a more rough and tumble way, often with higher risk and higher expectations than women are comfortable offering, creating special learning opportunities for young children to develop strong skill ropes. Unfortunately, we sometimes forget just how much brain building men do. • Don’t miss out on Bert and Mac’s Source for Sports 2 for 1 skate sharpening. Pick up your certificate at Family Centre and get your skates sharpened Monday - Thursday, January 25 - 28, 2016. • FREE skate passes for Dads! 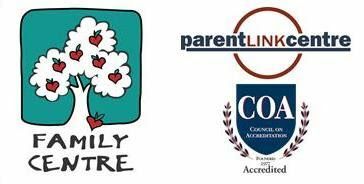 Pick up your free skate pass at Family Centre, located on the second level of Lethbridge Centre, Monday - Friday, January 25 - 29, 2016. You can use them for Skating on January. 30th! • Bert and Mac’s Source for Sports and Family Centre is offering first-come-first-serve free skate rentals on Saturday, January 30, 2016 at the Labor Club Ice Centre.